Below is a reprint of a post from EcoChallenge.org and the Omega Institute. When it comes to stopping climate change, have you ever asked, “What can I do?” We have an answer – the Drawdown EcoChallenge. From Bangalore to Bellevue, people around the world are taking the 21-day challenge to reduce greenhouse gases in our atmosphere. The challenge takes place April 3-24, 2019 and follows actions highlighted in our book, Drawdown. Registration is open now, participation is free and open to the public. Explore the challenges, join an existing team, create a new one, or join the Community team. In Spring 2018, 512 students and staff from Asheville High School in North Carolina won last year’s Drawdown EcoChallenge. Their goal was to have every Environmental Science student on campus be able to identify, communicate and practice concrete actions that reverse global warming. During the 3-week challenge, this team travelled 2,892 miles by carpool, bike or bus, ate over 2,282 meatless, vegan, local or zero-waste meals, and saved over 7,000 pounds of CO2. They also contacted 782 public officials and spent over 568 hours learning about climate solutions. Asheville High School set the bar high for this year’s challenge, and with over 3,500 people registered so far, we’re off to a great start! 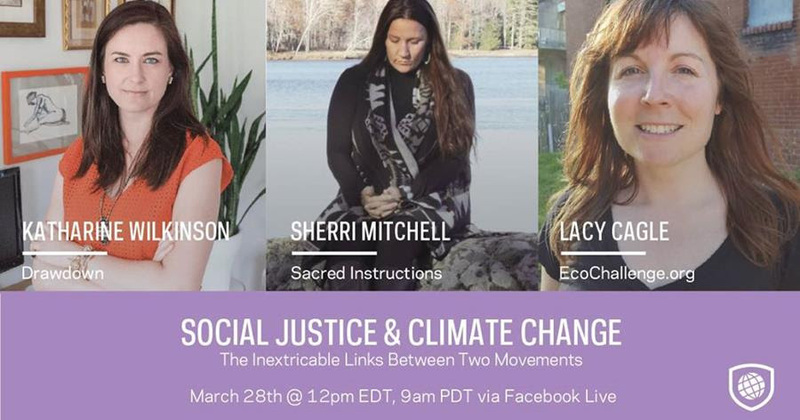 Be sure to join us on Facebook Live Thursday March 28, 2019 for Social Justice and Climate Change. Speakers include Sherri Mitchell Weh’na Ha’mu Kwasset, an Indigenous rights activist, Dr. Katharine Wilkinson of Project Drawdown, and moderator Lacy Cagle, EcoChallenge.org’s Director of Learning. Join the webinar via Facebook Live at 12pm EDT, (4pm GMT) or on Zoom. 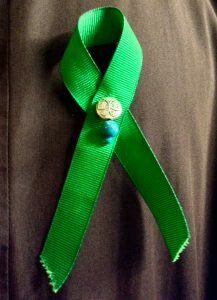 EcoChallenge.org, Omega Institute, and other inspiring organizations. Join us in supporting EcoChallenge.org, winner of the “First Mover” Early Entry Prize in theRare.org Solution Search competition.